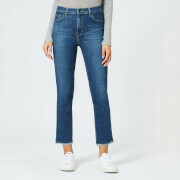 Women’s blue, skinny jeans from J Brand. Crafted from 9.75 ounce super-soft, comfort denim in a light blue wash, the ‘811’ jeans are cut for a skinny fit with a mid-rise waistband. 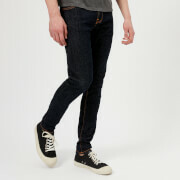 The jeans comprise a copper-tone button and zip fly fastening, alongside multiple belt loops. 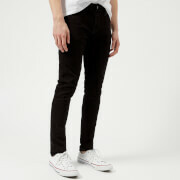 Featuring a classic five pocket construction, the jeans are complete with a V shaped yoke to add shape and light whiskering at the thighs.